HOUSTON � For four innings Saturday morning at , it was a pitcher�s duel between the Las Cruces Vaqueros (1-2) and Houston Apollos (3-0), with the only run coming off a fourth-pitch Travis Fuquay double, sacrifice fly by Cody Langham and two-strike RBI single by Carl Johnson in the top of the first. 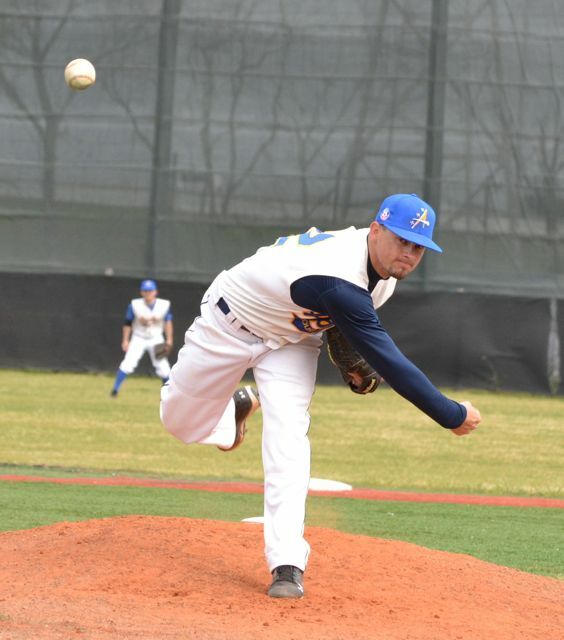 That put the Vaqueros up 1-0, and through the bottom of the fourth neither starting pitcher � Brett Kinle for Houston and Edison Alvarez for the Apollos � allowed more than two runners to reach base in an inning. In fact, except for the bottom of the fourth, when Alvarado gave up three singles but an unusual shortstop to first double play � the runner on first was doubled off after a line drive � no more than one runner reached base. But in the fifth and sixth, the wheels fell off for Las Cruces, giving the Apollos a 4-3 victory. Las Cruces went up 3-0 in the top of the fifth when Jacob Alastra singled and stole second with one out off reliever Cameron Powers. After a second out, Fuquay singled to left, which sent Alastra to third. But Apollo left fielder Jordan Segura bobble the ball not once, but twice, and by the time he got the ball to the plate, both runners had scored. 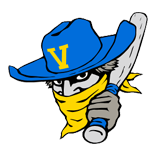 But in the bottom of the fifth, Vaquero reliever Thomas Nelson gave up a single to Powers then Matt Hunt reached second on an error by the Las Cruces third baseman. Powers scored on a ground out, then, with two outs on the board, Nelson walked two and made a throwing error that scored Hunt. The Vaqueros made a good play at second to catch Matt Leahy trying to steal, but the margin was down to 3-1. 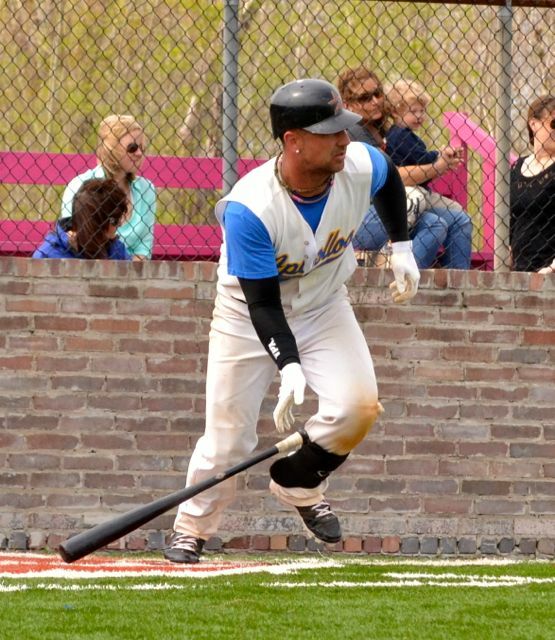 Then, after Powers set the Vaqueros down 1-2-3 in the bottom of the sixth, Nelson walked the first batter he faced � Andrew Azzopardi � in the bottom of the sixth and was replaced by Brandon Brown. But Azzopardi reached third on an error by catcher Langhan, Brown walked Jordan Segura and sent him to second on a passed ball. 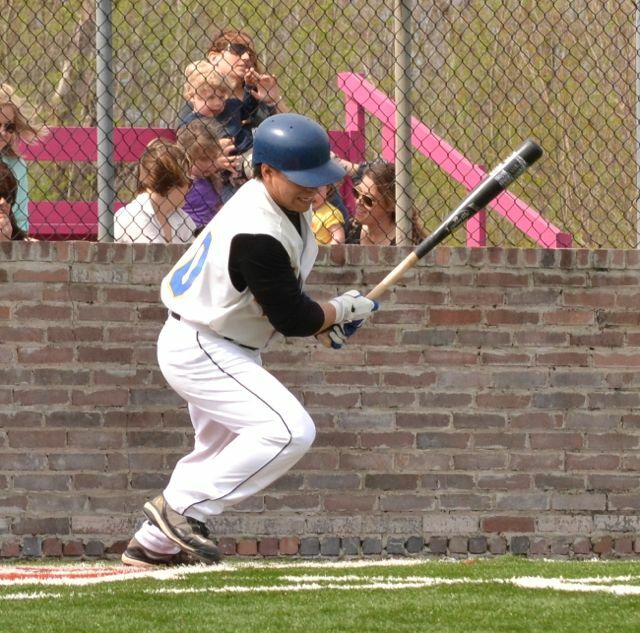 Ruben Rijkhof reached on a strikeout and passed ball, then an error by shortstop Stone scored both Azzopardi and Stone, giving Houston the lead. 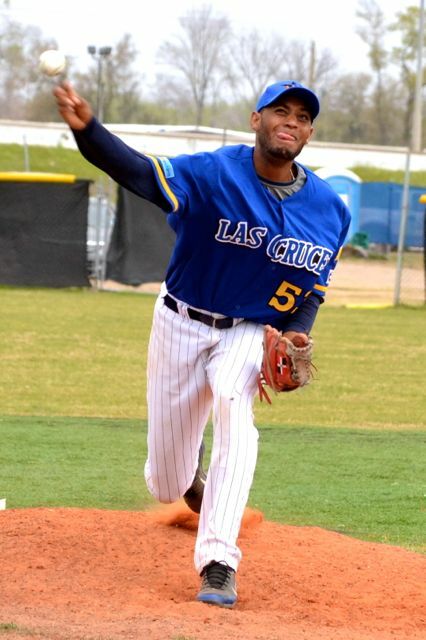 Then, despite two Vaquero walks, Powers kept Las CRuces scoreless for the victory. And, at least through the first three games of the Pecos Spring League, errors have been the Vaquero downfall. But, as the manager pointed out after the game, he�s not the one looking to show what he can do. Las CRuces will see if they can retire the error bug Monday against the Sea Lions � the team they beat in the league�s opening game � while the Apollos will work on their hitting before facing a much-improved Garden of Gears squad. Brett Kinle threw five solid innings and scored a run for Houston. Edison Alvarez only allowed four runs with four Ks, but had no decision. Andrew Azzopardi scored the tying run for the Apollos in the sixth. 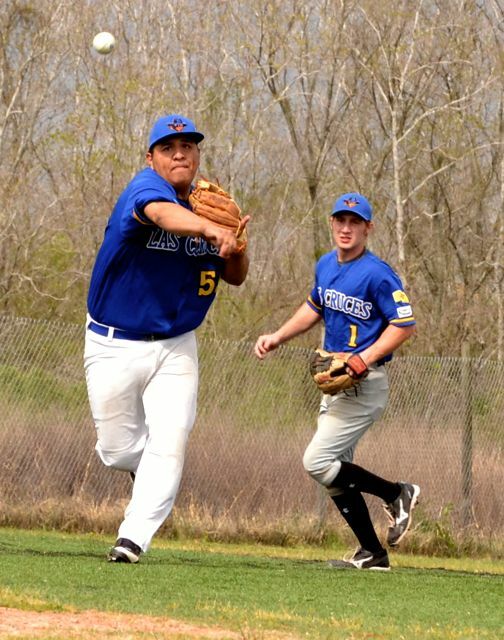 Third baseman Edgar Garcia throws to first as Travis Fuquay backs him up. Jordan Segura scored the winning run for the Apollos.